New!!! 14.12.2014 IPN Conference Jakarta 2014 had been held successfully , the excellent paper award and best paper award is available, please click HERE to find the details. News !! 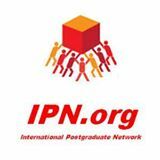 !, 2.12.2014, Revised conference program and presenter schedule can be viewed and download (Click here) - Please be informed that IPN will not entertained any request to change the presenter slot start from 2.12.2014 and also at the venue. International Postgraduate Network (﻿IPN.org﻿) is hosting ICREE 2014 International Conference on Renewable Energy and Environment which will be held at Jakarta, Indonesia on the 12th and 13th of December 2014. Academicians, researchers and PhD/Master candidates are invited to submit papers to the conference. Please sent email + latest CV for join us as a Technical Committee .